for years longer – Guaranteed! Forget about high-priced products and anti-aging treatments. Youthful Allure ™ gives you everything you need in one value-packed formula. 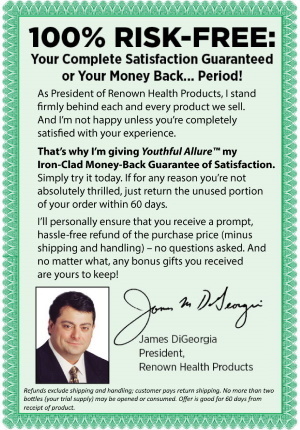 No other single product helps you look younger and more beautiful in so many ways! It’s like a having a whole beauty spa in a single jar! 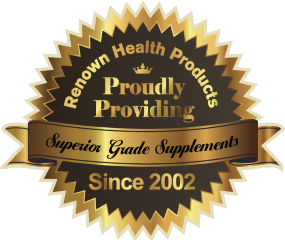 Discovered in the skin of red grapes and made famous by Harvard medical researchers, resveratrol is the most powerful age-defying substance ever discovered. Each day millions of people take resveratrol in capsule supplement form to keep their bodies healthy and help them enjoy a longer, more active life. However, did you know it also has amazing topical benefits? Roughly 80% of skin aging is from oxidation, which is caused by exposure to sunlight and environmental toxins.1 And resveratrol is extremely good at not only fighting that oxidation, but also reversing its effects. With results like this, it’s easy to see why so many resveratrol products are starting to show up on the market. However, Youthful Allure ™ is truly unique. Because it doesn’t contain a 1% concentration of resveratrol. Instead, we formulated it to include a 5% concentration – FIVE TIMES the amount you’ll find in other products. So you’ll enjoy faster results and optimum therapeutic action. 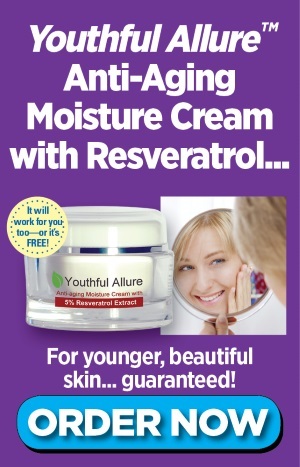 Plus, since resveratrol is 17 times more potent than idebenone, our 5% natural resveratrol means Youthful Allure ™ is up to 85 times more effective than those expensive skin care products using synthetic ingredients! To increase the total beautifying power of Youthful Allure ™ even more, we also included therapeutic amounts of six more powerful natural antioxidants. Including pomegranate extract, white tea extract, vitamin C, vitamin E, astaxanthin, and alpha-lipoic acid! Don’t you love how soft and smooth a baby’s skin is? And wouldn’t you love to have your own skin feel just as wonderful? Now you can. However, two of the most powerful peptides, P-Oligo (palmitoyl oligopeptide) and PT-7 (palmitoyl tetrapeptide) have been shown to help counter this with powerful anti-aging effects. Clinical studies have found P-Oligo to increase collagen production and help repair damage caused by UVA radiation – the same radiation from sunlight that penetrates deep into the skin.5As well as to significantly increase skin thickness.6. But as powerful as these two peptides are separately, they’re even more impressive when they’re combined because they work synergistically to counter the effects of aging on the skin. One clinical study found that while both P-Oligo and PT-7 increased collagen production, the results were dramatically greater when the two were combined. What’s more, the study also found the combination of P-Oligo and PT-7 boosted production of new fibronectin and hyaluronic acid.9 And that’s big news, because fibronectin is a protein that helps bind collagen to nearby cells. While hyaluronic acid is our skin’s built-in moisturizer. As we age, hormonal changes and other factors cause our skin to lose its ability to stay hydrated. So one of the best ways to turn back the clock is to make sure we give it hyaluronic acid. Hyaluronic acid is our body’s natural skin moisturizer. And it does its job better than anything on the planet. First by attracting up to 1,000 times its weight in water, then by bonding this moisture to the skin. So your skin looks firmer and plumper. And you look years younger virtually overnight. 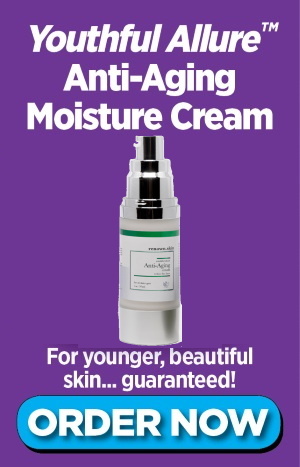 You’d still have an incredible product, with more age-defying, skin-beautifying effectiveness than anything on the market today! But we didn’t stop there. 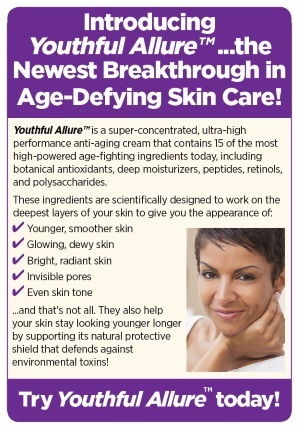 We wanted to make Youthful Allure ™ the ultimate all-in-one skin care system. So we included five more of Mother Nature’s most effective moisturizers. Including Cranberry Seed Oil... Chocolate Cocoa Butter... Shea Butter... Coconut Oil... and the softest and smoothest oil of them all: Mango Seed Butter. Together, they’re guaranteed to help you turn irritated, dry skin into smooth, supple skin that positively glows! at any age – guaranteed! 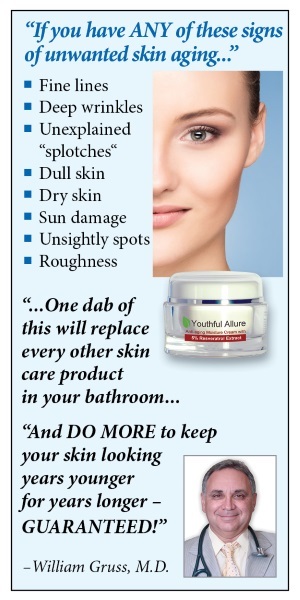 Women everywhere can’t stop praising Youthful Allure ™. They love how it helps them look years, even decades younger. And now you can discover its amazing benefits for yourself without risking a single penny. Simply return the unused portion for a prompt, hassle-free refund of your purchase price. No questions asked! Best of all, you’ll SAVE up to 48% off the regular price. And if you stock up with a 3-month supply, you’ll also get FREE shipping and handling! DISCLAIMER: Talk to your doctor or health care provider to determine if Youthful Allure ™ is right for you and is safe to take with your medications. Do not start or stop any prescribed medication or treatment without first consulting your doctor or health care provider.